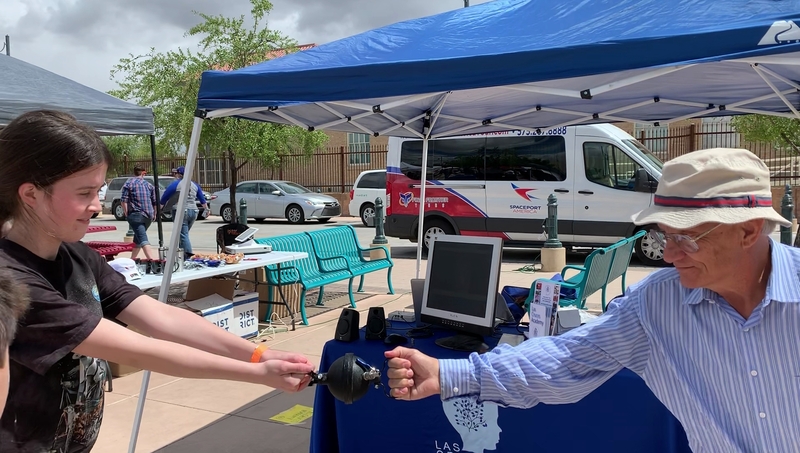 13 April 2019, at the Las Cruces International Space Festival on the plaza: Vince Gutschick, Board Chair and teacher at the Las Cruces Academy, met LCA graduate Arabella. They joined in a brief demo of the force of atmospheric pressure, using a small Magdeburg sphere (the video gives a bit of the history of the sphere). Huaqin Cai, husband of LCA’s great teacher to Mandarin Chinese, Yulin Zhang, took the video. There’s compact information imbedded in the video.